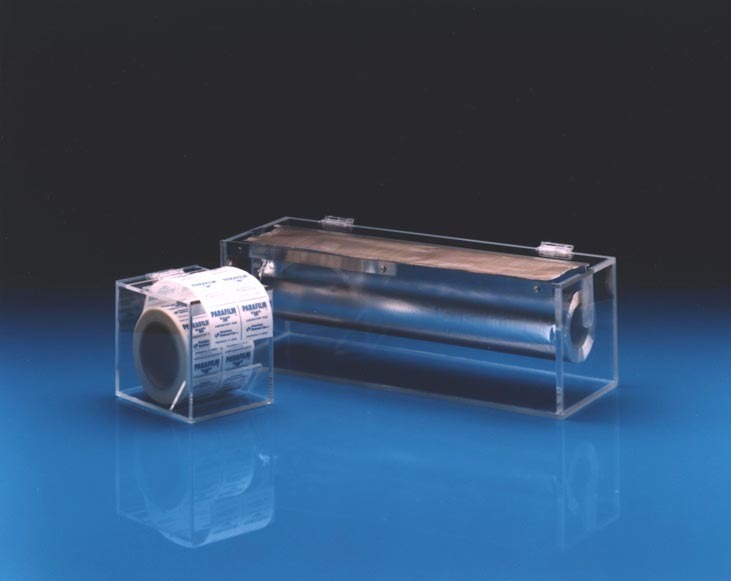 These dispensers provide for a dust-free delivery system for Parafilm® M wrap and holds a 4" x 30' roll. The dispenser is made of clear, heavy-duty acrylic with a serrated blade that cuts without deforming the sheets for one-handed use. Rubber feet prevent holders from sliding on countertops.